Scrolling slowly through News Feed, you’ll see a slew of videos. Some are from your friends. Others are ads from brands you like. All of them play automatically. Facebook now sees 3 billion video views a day, a fun fact that could have a huge effect on the network’s bottom line. More than 50 percent of American Facebook users who visit the network daily watch one video per day, Facebook COO Sheryl Sandberg said in the company’s fourth-quarter earnings call on Wednesday. (It counts as a view if you watch a clip for three seconds or more.) And as Facebook decreases the number of ads it shows, it has to make sure the ads you do see are high-quality, ones that you’ll actually respond to. The network is now commanding 335 percent more money for fewer ads based on the power of its ad targeting tech, which hooks into a level of detail about you that only Facebook (and maybe your best friend) has access to. Video ads, which launched last March, will be the next big wave, CEO Mark Zuckerberg said. Facebook shared stats about its 2014 growth during its fourth-quarter earnings call. If we know anything at all about Facebook, it’s that the company has figured out very quickly how to make money using your information. Facebook made nearly $5 billion in profit on $12.5 billion in revenue last year, a 58 percent leap in revenue over the previous year. It’s also the first time Facebook has earned more than $10 billion in a year. The network continues to crush expectations when it comes to both ad revenue and user growth every single quarter. Facebook made $3.85 billion in the fourth quarter of 2014, $3.59 billion of which was from advertising. Mobile ads are becoming an ever larger chunk of Facebook’s change—in the fourth quarter mobile was 69 percent of the network’s ad revenue. And try as people might to make it seem like interest in Facebook is waning, the network keeps piling on more and more users. And they aren’t just registered accounts—Facebook now has almost 1.4 billion monthly active users and 890 million daily active users. Some 526 million people only use Facebook on their phones. Let’s face it: We’re addicted. Facebook is growing quickly in developing parts of the world, but not so much in the States. In the U.S. and Canada, the company has 208 million monthly active users, compared to 436 million MAUs in non-European, non-Asian countries (what Facebook calls “rest of world”). Yet the bulk of Facebook’s ad revenue comes from the American market: $1.7 billion, to be exact. The network makes close to $9 per American MAU. That could become problematic, unless Facebook keeps its Western base hooked with a mix of quality content (those constant News Feed improvements) and unoffensive ads (see: video). Facebook is making a lot of money on American users, but also not adding many new ones. Zuckerberg constantly refers to Facebook’s three-, five-, and 10-year visions, some of which may never make the company any money. When an analyst on the company’s earnings call asked Zuckerberg about his vision for connecting the world and just how that might contribute to Facebook’s bottom line, Zuckerberg’s voice hardened. Internet.org has already helped 6 million people in developing countries get online. Zuckerberg said in the company’s last earnings call that 2015 will be a year of investment: The network will spend money on projects like Oculus and Internet.org, which won’t be profitable for years but has already connected 6 million new people to the Internet who otherwise wouldn’t have had access. 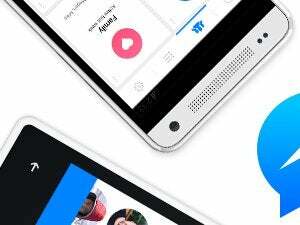 The company will also continue to grow its in-house messaging app, Facebook Messenger, as well as WhatsApp, which recently hit 500 million and 700 million MAUs, respectively. But don’t expect ads on those apps, at least not anytime soon. Zuckerberg said messaging is “about where Facebook was around 2006-’07,” fighting against advice to throw in banner ads to make a quick buck. “Businesses are starting to figure out in the case of WhatsApp what the organic interaction is, but we’re going to have to go through a whole cycle of how that interaction works,” he said.